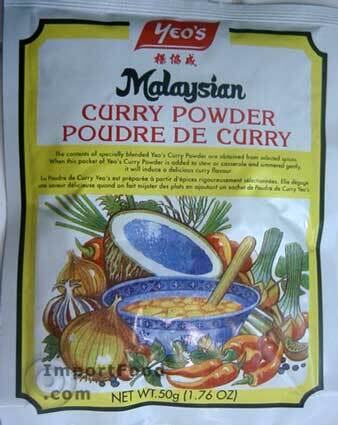 Yeo's is known for excellent tasting products, and this Malaysian curry is no exception. All natural and rich, with just the right mix of herbs to make delicious curry. There are detailed instructions on the package. You need to add vegetable oil, onions, meat of your choice, and regular or coconut milk. Serves four. Ingredients: coriander seed, chilli, fennel, cumin, turmeric, white pepper, aniseed, cinamon and clove. Product of Singapore.